Kindly note that Asian Market Cafe will be undergoing renovations from 4 May to 30 June 2019. 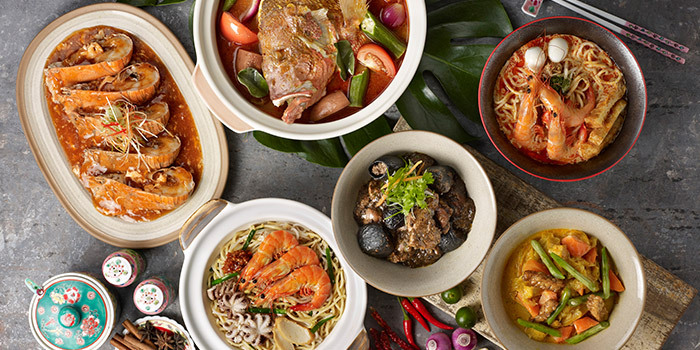 For a multi-cuisine buffet that hits all the high notes, Asian Market Café at Fairmont Singapore gets points for a well-orchestrated symphony of rich flavours and made-to-order live stations. Together with their shifting seasonal selection (and Halal-certification! 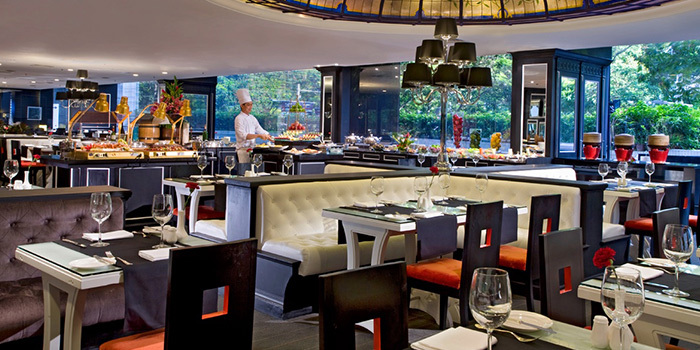 ), you can bet the buffet will take you on a tasty journey through the varied landscape of Asian cuisine. 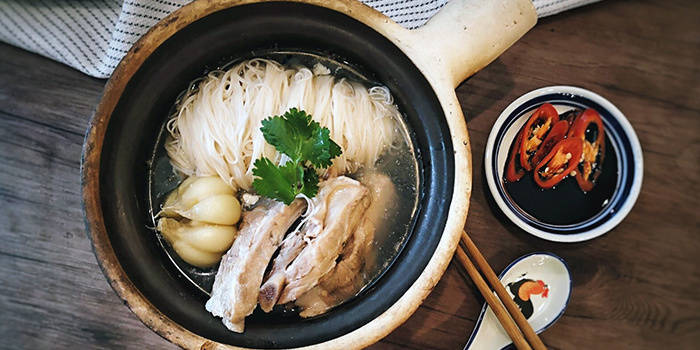 Available for lunch or dinner, Asian Market Café is a reliable spot for casual dining where everyone can get their fill of all their favourites. 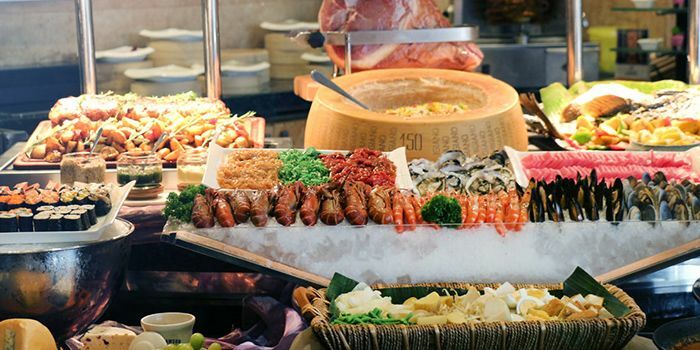 Making the smart choice of not sacrificing quality for quantity, the buffet zones in on Asian flavours rather than attempting to wrap its arms around the whole globe, as some hotels tend to do with difficulty. 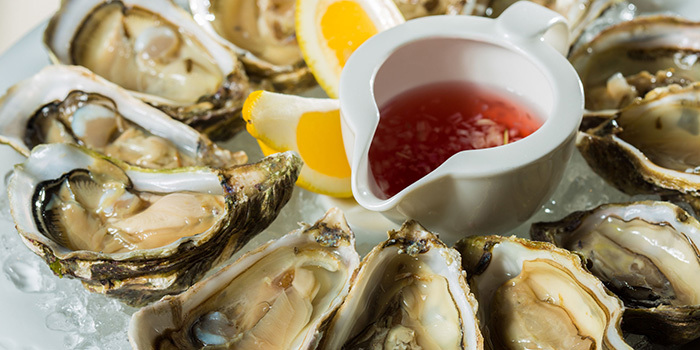 The focus on Asian tastes nonetheless produces a stunning array of regional dishes from sashimi to laksa, durian to egg tarts. The live action stations prepare hawker originals like roti prata with expert flair. Enjoy 50% off at Asian Market Cafe when you purchase Buffet vouchers from ChopeDeals. Vouchers are not valid with 'Chope Exclusives', other discounts and promotions. Kindly note that online reservations made through Chope will not be eligible for any discount programmes or vouchers, except Chope Vouchers or any promotions via Chope. Please note that the restaurant has a dress code policy. To enquire about reservations for more than 8 people, please contact Asian Market Cafe directly via their email.